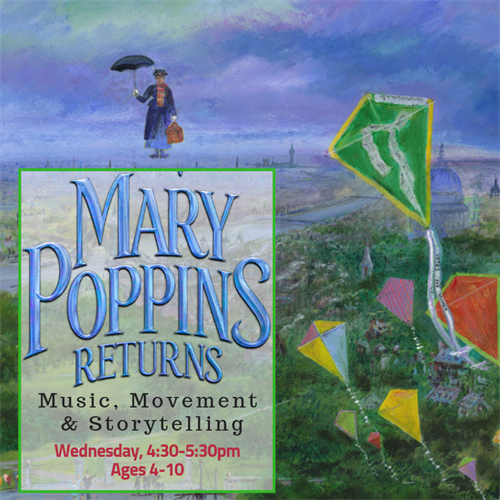 Mary Poppins Returns: Music, Movement & Storytelling - Mar 27, 2019 - Oak Park-River Forest Chamber of Commerce, IL ? This Mary Poppins-inspired class is sure to captivate your budding star as they explore the fundamentals of musical theater - music, movement and storytelling! Students will delve into the beloved world of Mary Poppins through the modern lens of Mary Poppins Returns, all while creating a magical culminating friends and family final performance. This class is perfect for beginning students who want to discover what it takes to put on a musical performance! Wednesday, 4:30-5:30 pm starting 1/27 through 5/12.